David Strang’s research focuses on innovation and diffusion in the political, organizational, and scientific worlds. 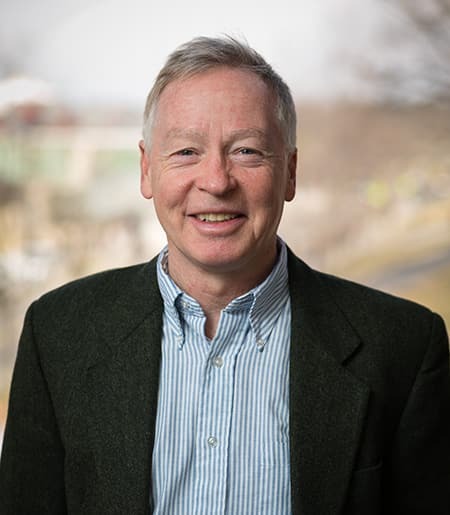 Recent projects include study of the evolution of the research article over time, the impact of social movements on Congressional voting, and computational models of the adoption and abandonment of management practices. Ongoing work examines obituaries appearing in the New York Times as a way of understanding what sorts of achievements are publicly celebrated. Andrew Sturdy, Stefan Heusinkveld, Trish Reay, and David Strang, editors. The Oxford Handbook of Management Ideas. Oxford University Press, 2018. David Strang and Christian Wittrock, “Methods for the Study of Management Ideas.” In A. Sturdy, S. Heusinkveld, T. Reay, and D. Strang, The Oxford Handbook of Management Ideas. Oxford University Press, 2018. David Strang and Kyle Siler, “From `just the facts’ to `more theory and method, please’: the evolution of the research article in Administrative Science Quarterly, 1956-2008.” Social Studies of Science 47 (2017): 528-55. Kyle Siler and David Strang, “Peer review and scholarly originality: let 1000 flowers bloom but don’t step on any.” Science, Technology & Human Values 42 (2016): 29-61. David Strang and Kyle Siler, “Revising as reframing: original submissions versus published papers in Administrative Science Quarterly, 2005-2009.“ Sociological Theory 32 (2015): 1-26. David Strang, Robert J. David, and Saeed Akhlaghpour, “Coevolution in management fashion: an agent-based model of consultant-driven innovation.” American Journal of Sociology 120 (2015): 226-64. David Strang and Kelly Patterson, "Asymmetries in experiential and vicarious feedback" Sociological Science 1 (2014): 178-98. Ion Bogdan Vasi, David Strang, and Arnout van den Rijt, "Tea and sympathy: The Tea Party movement and Republican pre-commitment to radical conservatism in the 2011 debt limit crisis" Mobilization 19 (2014): 1-22. David Strang, “Boomerang diffusion at a global bank: national culture and a total quality initiative.” Pp. 107-18 in G.S. Drori, M.A. Hollerer, and P. Walgenbach, eds., Global Themes and Local Variations in Organization and Management: Perspectives on Glocalization. Routledge, 2013. David Strang, Learning by Example: Imitation and Innovation at a Global Bank. Princeton University Press, 2010. David Strang, "School and super-school." Pp. 419-24 in F. Dobbin and C.B. Schoonhoven, eds., Stanford’s Organizational Theory Renaissance, 1970-2000. Research in the Sociology of Organizations, Vol. 28. Emerald, 2010. Mary C. Still and David Strang, "Who does an elite organization emulate?" Administrative Science Quarterly 59 (2009): 58-89. Bogdan Ion Vasi and David Strang, "Civil liberty in America: the diffusion of municipal Bill of Rights resolutions after the passage of the USA PATRIOT Act." American Journal of Sociology 114 (2009): 1716-64. Michael Lounsbury and David Strang, 2009. "Social entrepreneurship: success stories and logic construction." pp. 71-94 in D. Hammack and S. Heydemann, Globalization, Philanthropy and Civil Society: Projecting Philanthropic Logics Abroad. Indiana University Press: Bloomington IN.